Your laptop sits loyally at your side through long travels, crowded gatherings, and stressful shopping sprees. Sometimes it keeps you warm in bed, and it even plays that obnoxious holiday music without a single complaint. It’s time to spoil it with a few new bells and whistles that you both will love. Go on, you—and your PC—have earned it. Keep your laptop safe, secure, and comfy in a carrying case. If you plan on moving your laptop anywhere (it’s a mobile computer, after all), you need a carrying case. A protective layer will save you bundles of cash in repair and replacement costs. Find something with a secure, padded fit, but avoid tech logos and brands—these are targets for thieves. Finally, choose something comfortable to carry around and roomy enough to accommodate all your accessories. (And the bag’s just the beginning: Check out our tips for keeping your laptop safe while on the road. Wireless peripherals are great for productivity, especially this Logitech K750, which is solar-powered for battery-free operation. Most people spend as much or more time working with their laptop on a desk as they do with it on their lap. 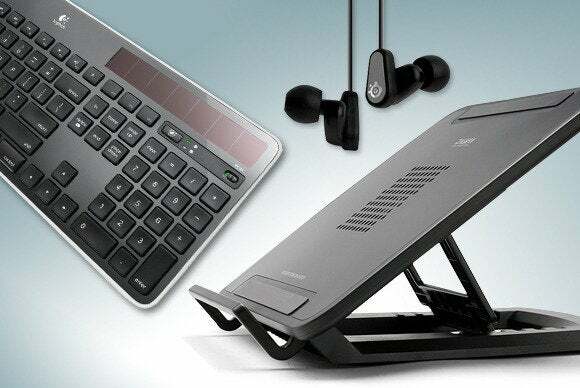 Our wireless mouse and keyboard roundup gives office- or home-office-bound workers a welcome respite from their laptop’s cramped keyboard and tiny trackpad. And since there are no cables to mess with, you can pick up your laptop, drop it in your high-quality padded bag (see above), and be on your way. A cooling stand like this Zalman model ZM-NS1000F will keep your laptop cool. It has an active fan that’s powered by your laptop’s USB port. A stand with an active cooler will keep your notebook’s display at a comfortable angle, while a fan draws cooling air across the bottom, where the motherboard, CPU, and battery are located. A stand can also keep your laptop at a comfortable viewing angle. Don’t run out of storage: You won’t regret carrying a portable external hard drive, like this Apricorn Aegis 3.0 SSD, in your bag. Holiday pictures and videos of winter recitals can quickly overtax a laptop’s small hard drive. You’ll run out of storage before you know it, and I can guarantee it will happen at the most inopportune time, leaving you feverishly sifting for older stuff that’s safe to delete. Don’t count on storing all that stuff in the cloud, because you never know when you’ll have Wi-Fi access to get there. Cleaning up your drive is a great New Year’s resolution, but for the time being, snag a portable hard drive to keep racking up the gigabytes. These drives are small enough to slip into a bag, and they’re capacious enough to store backup data, personal info, and holiday memories for years to come. One tip: Encrypt it all for your own protection. Check out our chart to find the best portable storage devices available today. 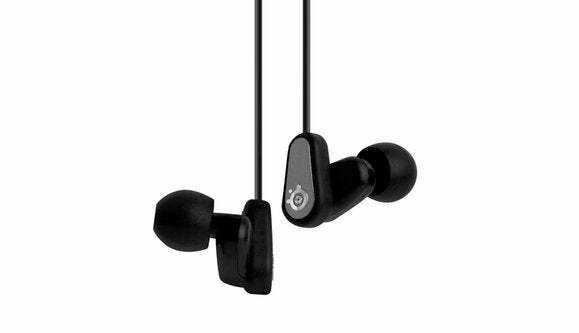 The SteelSeries Flux In-Ear Pro earbuds are where sound quality and mobility meet. When stuck at the airport, trapped in a car, or hiding from your family during those long holiday trips, it’s time to bust out the entertainment. Music, movies, games, and Web browsing are all at your fingertips, but you’ll need some decent headphones to get the best sound quality without bothering everyone else. High quality earbuds like the SteelSeries Flux In-Ear Pro are great for mobility since they can fit in backpacks, pockets, and even just hang around your neck when not in use. Over-the-ear headphones provide a bit more sound quality and comfort since you don’t have to stick little rubber balls in your ear. It really comes down to preference and price, but they are an absolute necessity. Whether you’re enjoying a spanking-new laptop you snagged during Black Friday or sticking with an old and reliable one, treat your laptop to the best accessories available to put the fun back in mobile computing.